Public Sculpture of Greater Manchester is a complete catalog and illustrated guide to all of Greater Manchester's public sculptures and monuments. 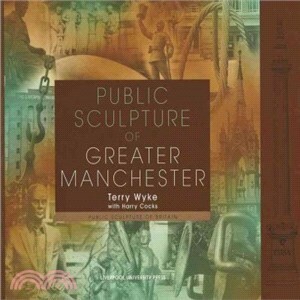 Manchester historian Terry Wyke provides detailed individual entries for each sculpture featured, including information about the artist and the commissioning agent, date of installation, and the sculpture's historical and artistic significance. More than 350 black-and-white photographs reveal the diversity and beauty of Manchester's many public monuments. The eighth volume in Liverpool University Press's highly acclaimed and prize-winning Public Sculpture of Britain series, Public Sculpture of Greater Manchester will be an incomparable resource for both armchair and actual travelers, as well as for English historians and art scholars alike. Terry Wyke is a senior lecturer in social and economic history at Manchester Metropolitan University.